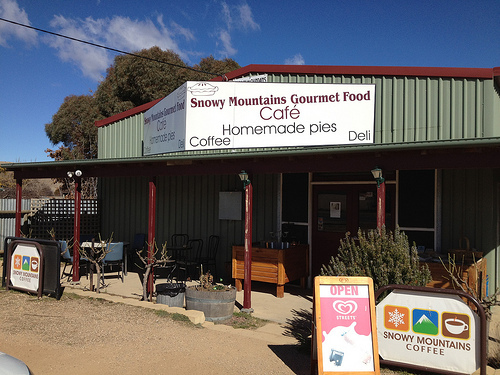 Join the Club for a lazy GS ride to Snowy Mountains Gourmet Food Café 31 Cooma Street Bredbo NSW 2626 for brunch. For GS Riders: Our 0800am departure will be Caltex (Woolies) Conder and ride down Bobeyan Road to Shannons Flat and across to Bredbo for brunch. The return leg will be back via the Tinderries to Captains Flat and Queanbeyan. Route map here and for those with GPS navigators - here. For TS Riders: treasure Bob has offered to lead a group ride, leaving 0930 the Woolworths Caltex servo on the Monaro Hwy Hume or you can sleep in and make your own way to Bredbo. Please use the registration form so the Club can let the owners [(02) 6454 4200] know how many to expect.